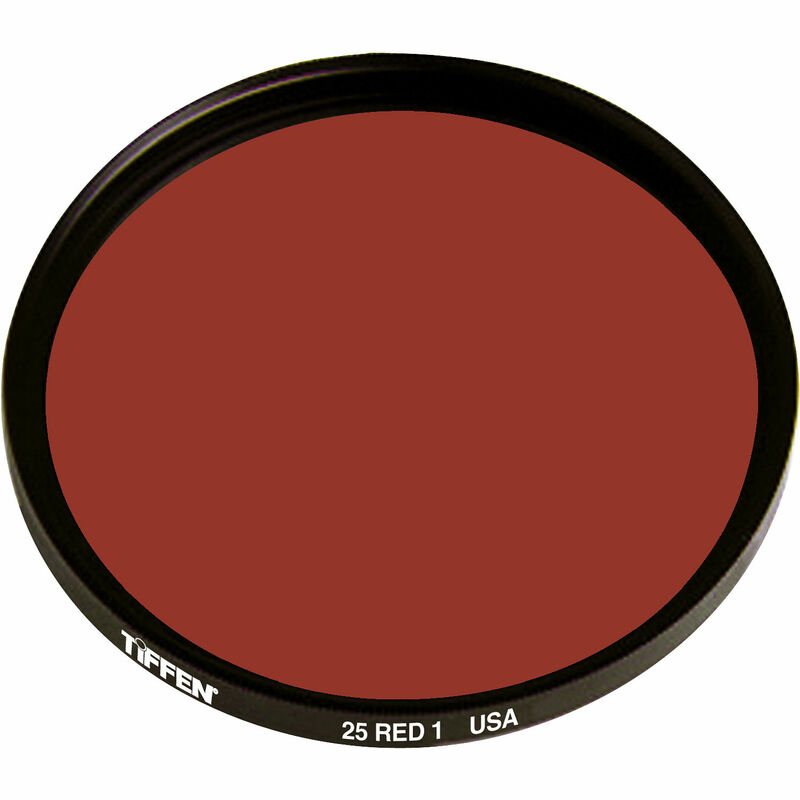 The 138mm #25 Red Filter from Tiffen is a filter designed to build contrast in black and white photography and creates separation between the tones. Using this filter it creates dramatic skies or simulate a moonlit scene during the day by slightly underexposing the image and also eliminating fog and haze. Infrared film is enhanced with extreme contrast turning skies even more dramatic and turning foliage white in landscape photos. The filter has a filter factor of 8, so you must increase your exposure by 3 stops to compensate.